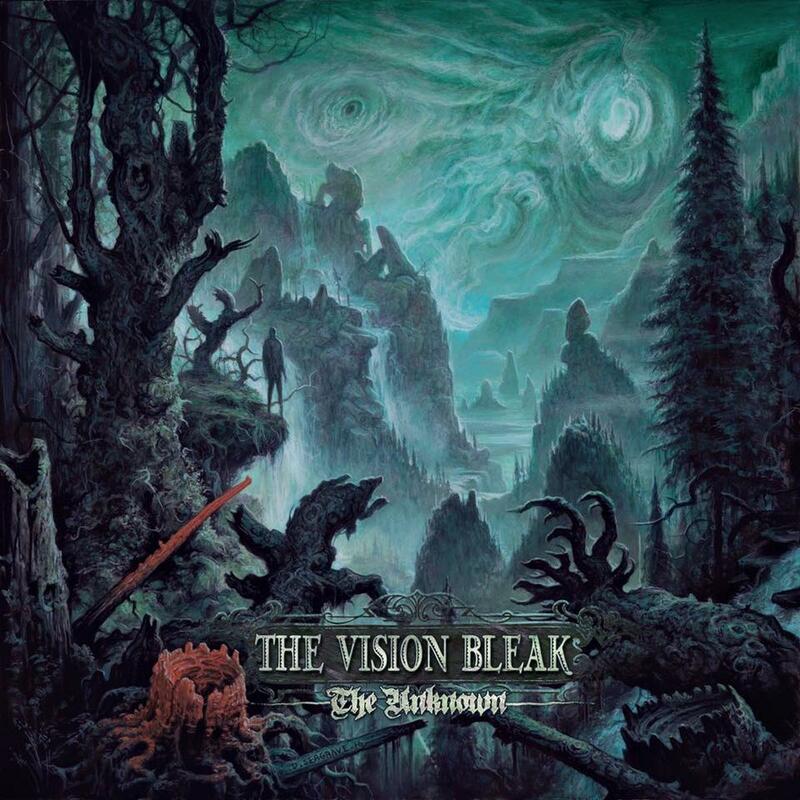 The Vision Bleak at Hammer of Doom! 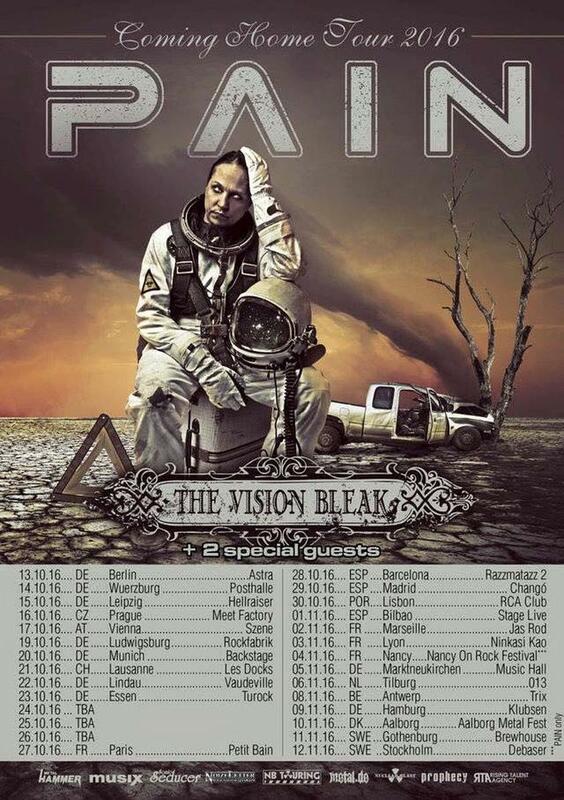 Tickets for Berlin here to find! 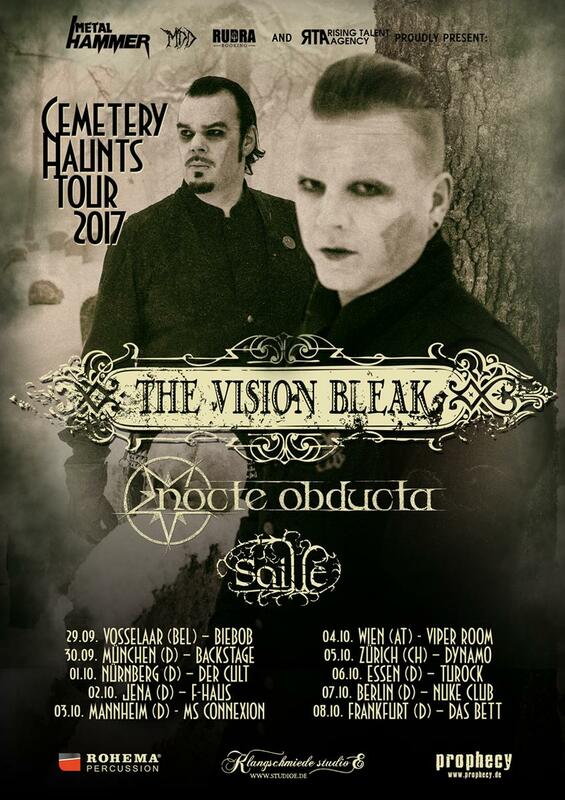 We hereby announce the final leg of our touring activities for our latest album "The Unknown" aptly entitled "Cemetery Haunts 2017". 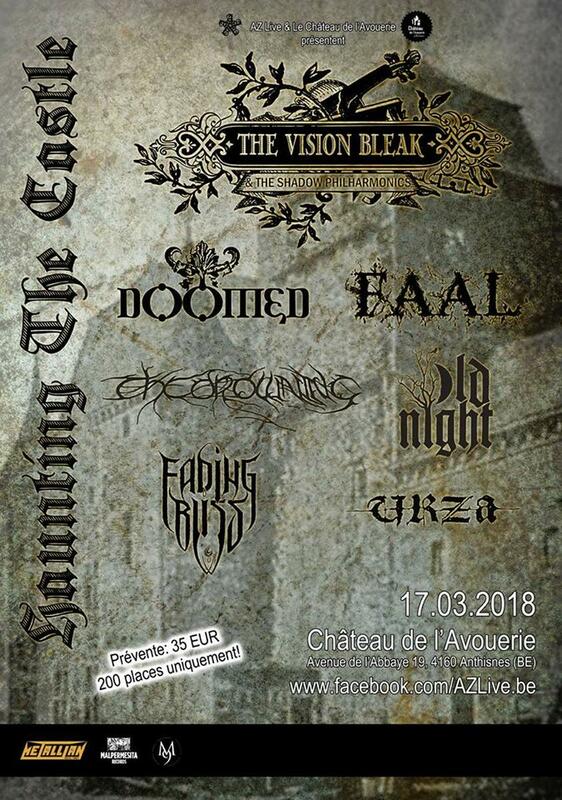 We are pleased to share the stages with german grave diggers of olde Nocte Obducta and the belgian tombstone masons of Saille on this endeavor. Be there or regret for an eternity long! The Vision Bleak will be part of two of the finest german fesivals in 2017! 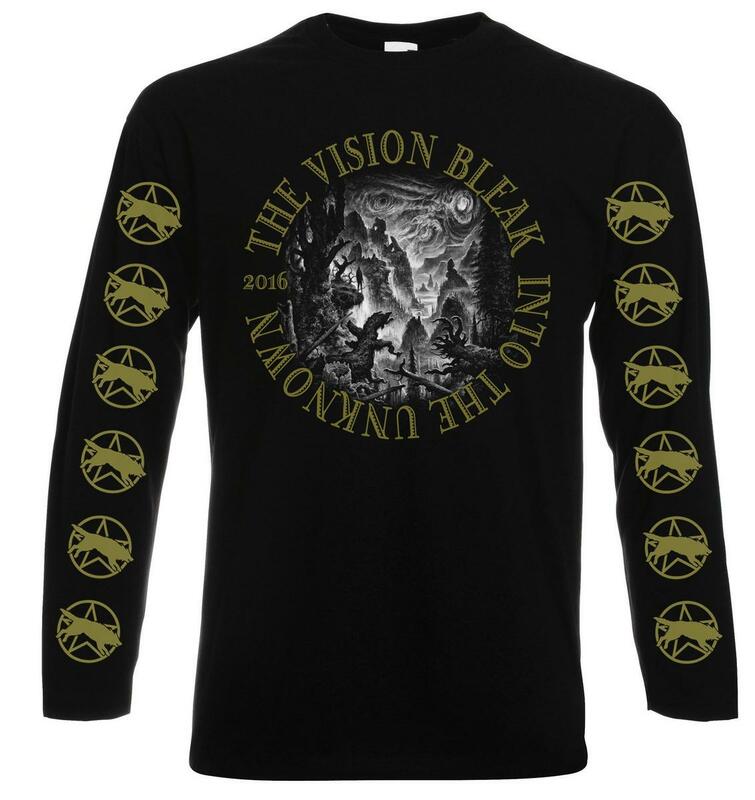 our shop is restocked with some tour stuff and total new killer prices to all products just for you! 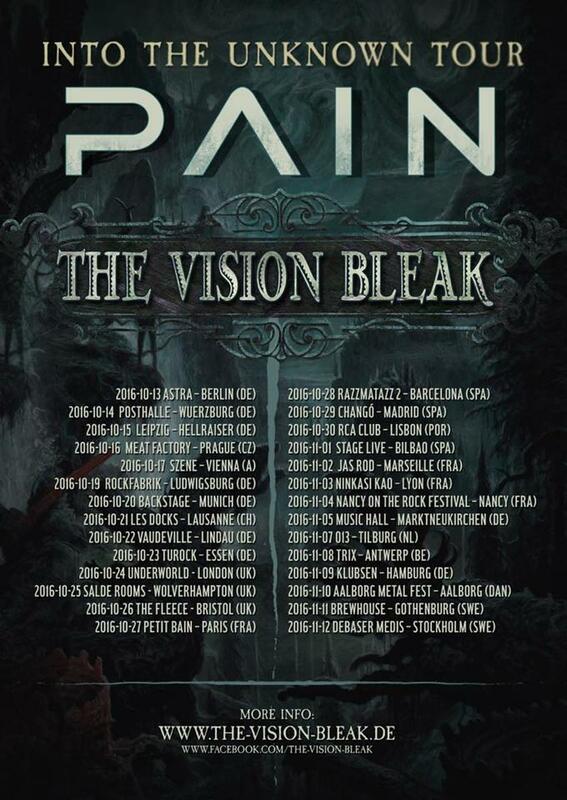 We are pleased to announce we are supporting Pain on their "Coming Home" Tour in October/November this autumn. This will lead us to quite some places we haven't played before. Be there! "The oldest and strongest emotion of mankind is fear, and the oldest and strongest kind of fear is fear of the unknown"
"From Wolf To Peacock" Track Premiere! Ready for the opening song of "The Unknown"? In association with Terrorizer we proudly present "From Wolf To Peacock" our hymn to pride and the feeling of being and feeling different to others. Enjoy, share and let us know what you think! 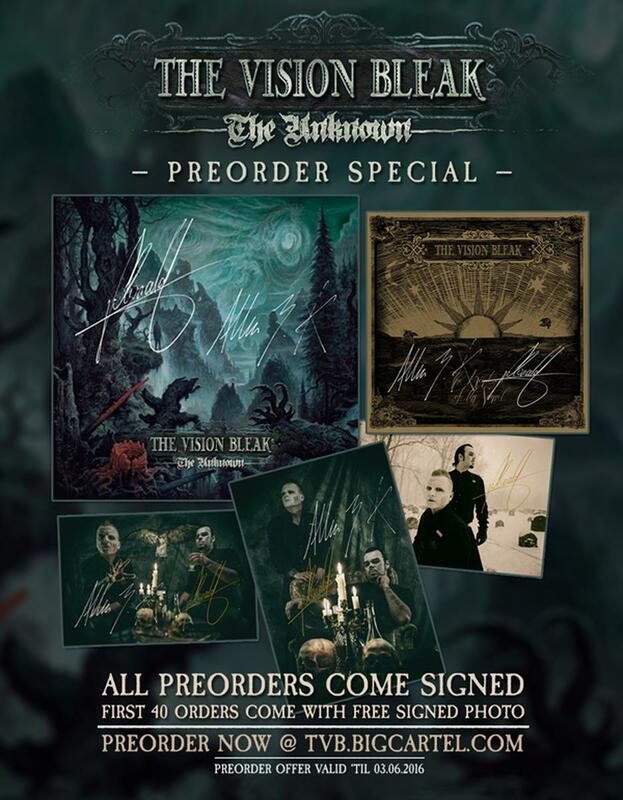 If you are still undecided whether to order "The Unknown" or not and haven't done so yet, point your browser at http://tvb.bigcartel.com and do it now :-) Better late than never! Track by Track review is now available at Metal.de! Check it out! Finally allsizes of "Kutulu" zip hoodies are back in stock! Grab them while stocks last! 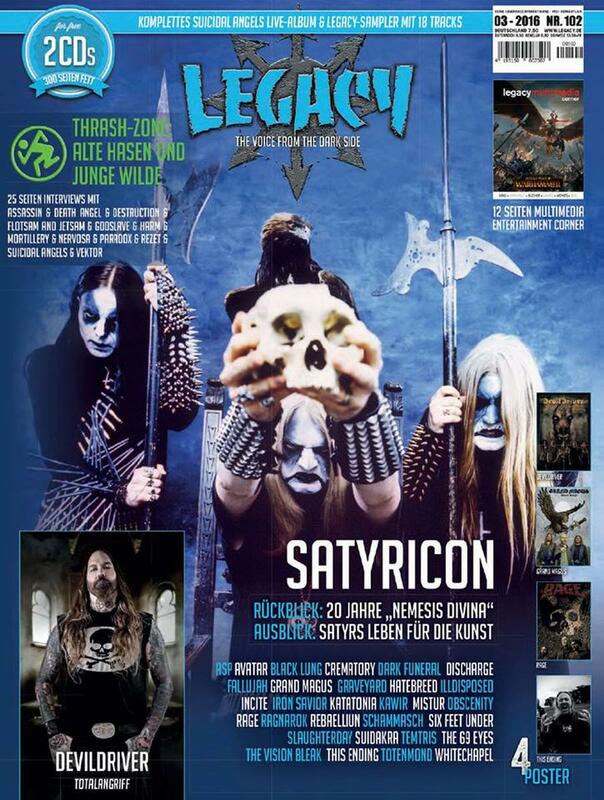 Thanks to Björn Thorsten Jaschinski and Legacy for this brilliant Interview! There are no up-coming shows.